Our Correspondent ● Kolkata: A musical morning with a hot cup of coffee is the best way to celebrate a pre-winter weekend. And if the music belongs to the roots of life then one cannot ask for more. 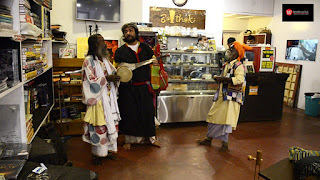 Café Abar Baithak has gifted a similar pure sun rise with Baulgaan, Mushidi and Fakiri music on 22 November. It was a prelude to the upcoming two-day Manush Mela to be held at the Patuli ground in South Kolkata from 5 December. 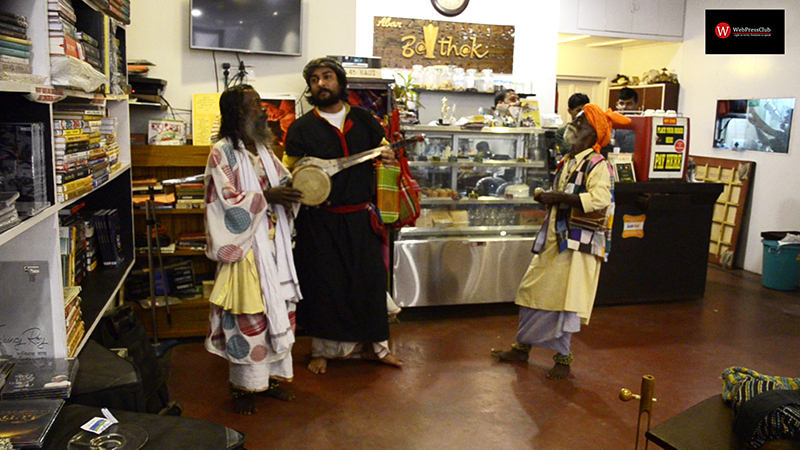 The event featured three extraordinary traditional performers—Gamcha Baba, Photke Baba and Samrat Fakir. In a two-hour long programme the trio has exhibited their skill in full swing. They sang their heart out to impress the audience who also were in no mood to be left behind. They enjoyed the soulful music thoroughly and even participated in the performance later. The whole performance was interactive. Beginning from the lyrics to the physical gesture of the three performers were simple yet attractive.